Anambra State South-East Nigeria is a geopolitical entity whose survival in the past remained a mystery to keen watchers of the unethical play of politics that obtained within its borders. Though its political situation today is grossly incongruous with yester years', many citizens of the State remain victims of internal conflict arising from the contorted past they knew vis-a-vis the novelty of the promising present. Anambra is home to a high concentration of vibrant individuals, young and old, who do not only hold claim to knowledge on virtually every subject, but liberally profess such knowledge with some flavour of erudition; never mind that such cosmetic veneers could often suffer bruises in sustained critical engagements. 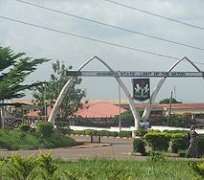 Anambra State continues to provide an arable ground for students of social dynamics. For a people who are used to fending for their individual needs and adopting sundry means in providing their common necessities exemplified in schools, roads, water, electricity and even security, the fact of their thinking and engaging life challenges from individual perceptions puzzles an observer less. The repercussion of sustained privation in the politics of the state remains evident in the people's ways. But for their vibrancy and 'all- knowing' nature, this stock of Nigerians would have been remoter and probably more endangered than they are in the context of today Nigeria. The past turbulent political environment in the State though evolving into a more vibrant and people-oriented milieu seems not to have left the consciousness of many. Governor Peter Obi's interventions aimed at ameliorating the pains of the reprehensive old order (wherein oddities were freely tolerated, if not accepted as wholesome) paradoxically suffer misrepresentations from chieftains of the old epicurean profligacy. And this tribe, having previously amassed tremendous wealth from the State coffers, has the capacity to fight the State. They adopt calumny, malice, mischief and all deployable arsenals to tarnish the towering profile of Governor Obi in state-building. Like Shakespeare would say, 'from the spring where comfort seems to come, discomfort swells'. Strange! When average politicians would readily opt for populist eye-popping schemes at city centres to assert themselves, Obi would choose taking civilization to the erstwhile forgotten remote recesses of the State; he would deploy huge resources in education and the emancipation of society from the confounded values it has adopted over time. Contrary to what obtained in our political clime, Governor Obi is ever critical of the effects of his actions today on the future of society. This has remained the cardinal spirit driving his acts in the governance of Anambra State. In the past, Ndi-Anambra perceived government as a contraption imposed on them as a pestilence to compound life challenges – an aggregation of the bearish tendencies the Igbo nation suffers as an effigy of a dishonest national communion. It was this conundrum that threw up the many failed administrations of the military era; it nurtured Dr. Chinwoke Mbadinuju's political inanity of 1999 to 2003, as it did Dr. Chris Ngige's flagrant brigandage that held the state and her people in captivity between 2003 and 2006. Given the sustained period of this ravage of decorous life in the state, various forms of rascality and oddity thrived. It appeared normal beholding the leadership of the people as lords who did no wrongs. Even when the actions or inactions of those leaders translated to pains on the people, such were acquiesced by the majority. It was this obtuse convention that prepared the ground for the present mischief of crass duplicitous fellows who, catching in on the people's moral frailty, vend strong pervasive speculations that Anambra State Government dropped dead shortly after Mr. Obi won the February 6, 2010 gubernatorial election. Facts, they say, are sacred; and nothing can be truer than the 'eye-markable' workings of the State Government pursuant to functionally uplifting the life of Ndi-Anambra: roads, bridges (particularly in difficult terrains), institutions of government (an ultra modern secretariat, Judges' quartres etc), education (provision of science equipment for school laboratories, renovation of dilapidated school structures, provision of brand new buses, supply of sports equipment, provision of computers and facilities for ICT etc), sports (erection of two mini stadia at Onitsha, encouraging sporting activities in schools), on-going construction of Awka Township Stadium etc. Indeed, in the spirit of ANIDS, all sectors of the state are simultaneously touched by the spate of development in Anambra today. By returning schools to their original Missionary owners and reinventing such schools along with fallen state schools, Governor Obi has acquitted himself as a courageous exponent of wholesome politics. His special intervention in the health sector, particularly his partnership with the church, has revolutionalised health services delivery in Anambra State. A visit to St. Joseph's Hospital, Adazi-Nnukwu; Our Lady of Lourde's Hospital, Ihiala; St. Charles Borromeo Hospital, Onitsha; Queen of Rosary Hospital, Waterside Onitsha; Iyienu Hospital, Ogidi; Primary Health Centres, General Hospitals and the flagship Anambra State University Teaching Hospital, Amaku-Awka tells a whole lot about the sincerity of the government in its commitment to improve the lives of the people. Mr. Obi has exhibited the doggedness of a prized marathon racer in pursuit of goals whose fruition would translate to better society; a society for whose love the Governor has been calumniated by his sworn detractors. If only the people would capture the rare opportunity the Governor's conviction offers today and internalize the essence, the future of Anambra State being moulded today would be pleasant and secured.